Over the Past few weeks, Unhinged has made an effort to get some locally made products in our inventory. This includes a wide variety of items. All of them are made here in Salt Lake City. 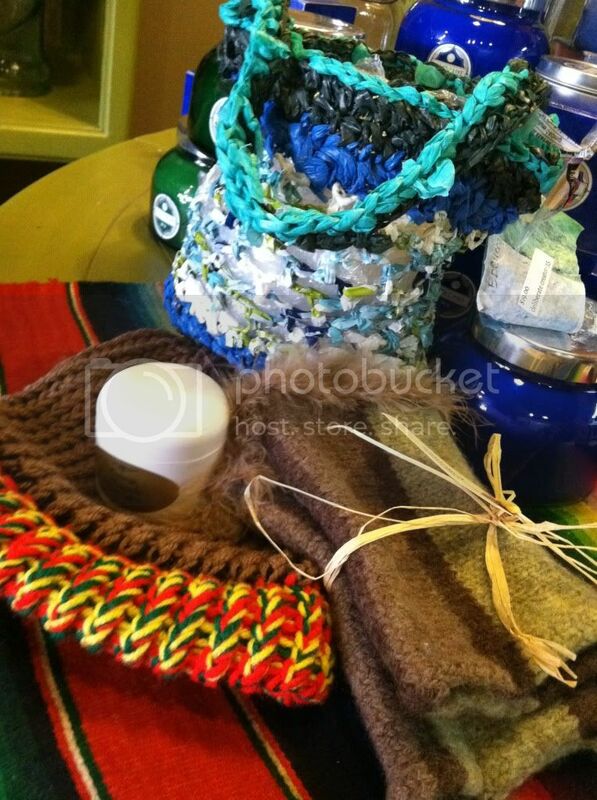 One item that we carry is a hand bag made from treated grocery bags. The bags are treated and twisted and then crocheted into a hand bag. They are pretty awesome! Another product that has been recently added to Unhinged are hand knitted beanies. These hats come in a bunch of different colors and are made by a local knitter right here in Salt Lake City. Recycling products is a great way to save money or even make money. One local designer from Salt Lake City recycled old sweaters by making them into hand warmers. These glove-like warmers are being sold at Unhinged for a great price! If you like creams and lotions, you are going to be really excited about this. A local from Salt Lake City has formulated a hand cream and has been selling it. Unhinged is happy to be promoting this item within the shop. Unhinged loves local sellers, artists, and designers! We would love to carry something local that fits with the modern and vintage atmosphere of the shop. If you have a product that you think would suit our shop, please bring it in and we will see what we can do. In the mean time, check out the local and modern and vintage clothing that Unhinged sells in Salt Lake!